Geogebra is an excellent platform that provides a wide range of materials and resources on everything related to mathematics and science.Materials featured in this website are various and work for all levels of education. Geogebra brings together geometry, algebra, spreadsheets, graphing, statistics and calculus in one easy-to-use package. Some of the materials you can access and use with your students from Geogebra include worksheets, books, tools, links, and spreadsheet data files. Geogebra is also a powerful community that hosts millions of users brought together by their love for STEM subjects. You can join discussions, rate materials, comment on what others share and even upload your own materials to share with others. 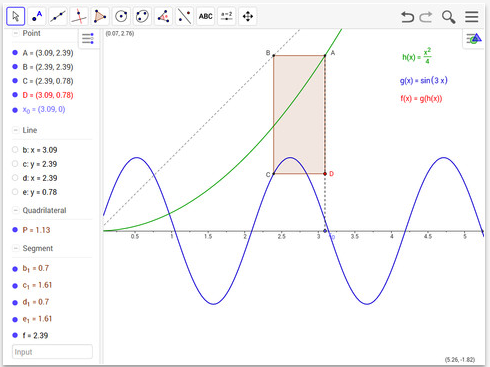 Geogebra is a free open source software freely available for non-commercial users.